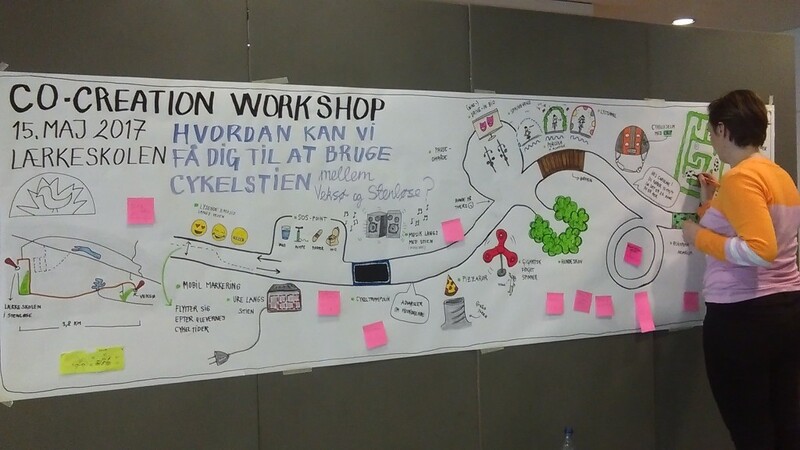 A group of creative schoolchildren spent most of their Monday afternoon designing smart lighting solutions for their own bike path between their school, Lærkeskolen, and the village of Veksø. The workshop was part of developing Greater Copenhagen into a world-leading living lab under the new platform Lighting Metropolis. First, the bike path between Veksø and Læreskolen in Stenløse became an official part of the national ‘super bike path’ grid; in this case path C97, that runs from Frederikssund to Kongens Nytorv in central Copenhagen. Now, the ‘super path’ must also become a ‘smart path’. The ‘smartness’ could for instance come from letting the path light not only brighten up the winter darkness, but also do so in a playful and interactive way. 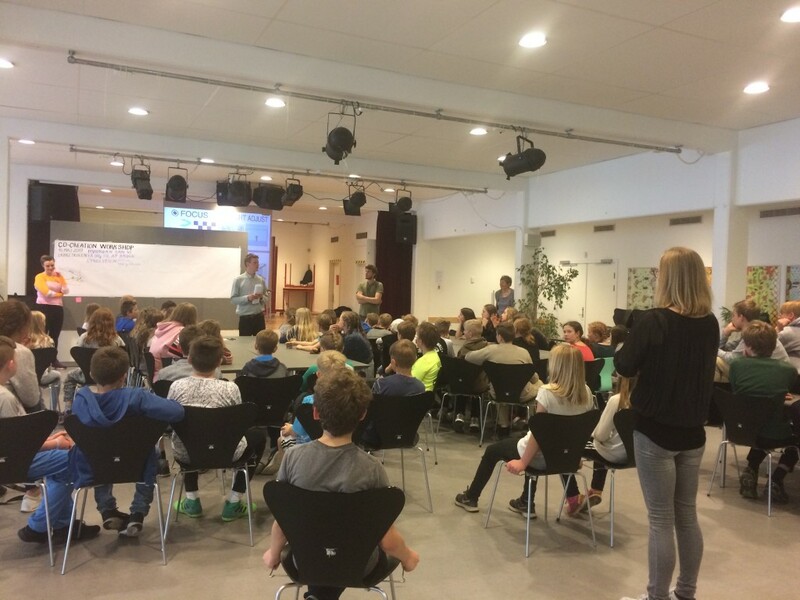 For this task, Egedal Municipality received help from 70 students from the school’s 5th graders, and a selection of students at the school that come from Veksø. After all, the students are the real local experts in this particular field because they cycle a lot back and forth on the cycle path between Veksø and Lærskolen. On Monday, students used their afternoon at a workshop tasked withy developing smart lighting and exciting interactive solutions for the bike path. “We have had an incredibly creative process with some very active, imaginative and committed children who came up with a lot of input for how the bike path can interact with cyclists and change colour when the S train passes by. In fact, the students were also focused on creating thoughtful solutions that not only provide fun lighting effects, but also create a smarter and efficient light on the cycle path, “says Egedal Municipality Project Manager, Sune Schøning. “We have received some highly qualified inputs for what young people could think of and we hope they will be able to recognize their own ideas when the project is completed,” Sune concludes. The municipality of Egedal has entered into a partnership with Aalborg University, Lolle & Nielsen and Philips in connection with the bicycle project. The new path light will get switched on during the autumn 2017, while the goal is that the added smart and interactive elements will be established in 2018, and here the students should be able to recognize their own ideas. The lighting project is the first of a total of three demonstration projects under the EU-supported Lighting Metropolis collaboration where Egedal Municipality has worked closely together with with eight other municipalities, universities and companies across the Greater Copenhagen region to create the urban and intelligent light of the future. At egedalkommune.dk/lysoveregedal you can see the project descriptions for all three projects and read more about Egedal Municipality’s participation in Lighting Metropolis.